I started working in 2005 at an outdoor recreation store. One of the hottest items we carried was a funky looking sandal called Chaco’s. Everyone in the store swore by them. The owner couldn’t get me into a pair fast enough. It wasn’t long before I learned what all the fuss was about. For the next 9 years we were inseparable. It didn’t matter if it was snowing, raining or hailing brimstone, if I was there, my Chacos were too. When my first pair died, I gave them a proper burial and bought another pair. I was proud of my Chaco foot tan, and I flaunted it. When my second pair finally died, I didn’t have access to the pro deal. I decided to wear my old pair of Merrell Chameleons. They served me well until 2016 and a tragic gruver accident. After incinerating my Chameleons, I had to buy a new pair of sandals. It was time to go back to the Chaco’s. The new Chaco’s were significantly lighter in weight than the old Chaco’s. One of the criticisms of the old Chaco’s was weight. The new pair fit just like the old pair with straps that take a while to figure out, but offer a unique personalized fit. Out of all the sandals on the market, the Chaco’s unique single strap design make for a perfect fit every time. Chaco’s can cause a little discomfort for some people. Many people with a flat foot find the high arch a problem. At first you may experience a lot of cramping and foot soreness. However, after a few weeks this goes away and your feet will feel better than they ever have. Transitioning back to regular shoes will start the cycle all over again. Occasionally, the toe loop will self-tighten. This can be frustrating and many people will just put their toe over the toe loop and go without. Sometimes the single strap can be hard to pull through but using a little Nik Wax on them will help the straps slide easier. The last two pairs I owned lasted 5 years and 4 years. The new pair split after only a couple months of use. I was informed they have a great warranty, which I did not look into or take advantage of. Sometimes the hassle isn’t worth the money saved. I bought a pair of Khufu sandals from Ross for $17.99 and so far I have worn them almost every day. They are still usable and have lasted 5 times longer than my last pair of Chaco’s. I think the durability was sacrificed for lighter soles. Each pair of Z sandals feature webbing straps that wrap around the foot and through the midsole. This adjustment system offers the industry’s only fully customizable fit, and the guarantee that your sandals won’t fall off in the river wild. Chaco’s originally started off for river guides running the Colorado River. 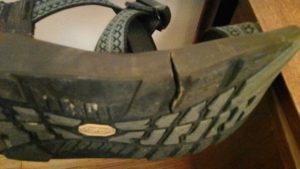 The goal was to have a sandal rugged enough to go from water to sandstone. Chaco’ succeeded with the early versions of the Chaco. However, as Chaco boomed in popularity more people started using them for everyday functions. 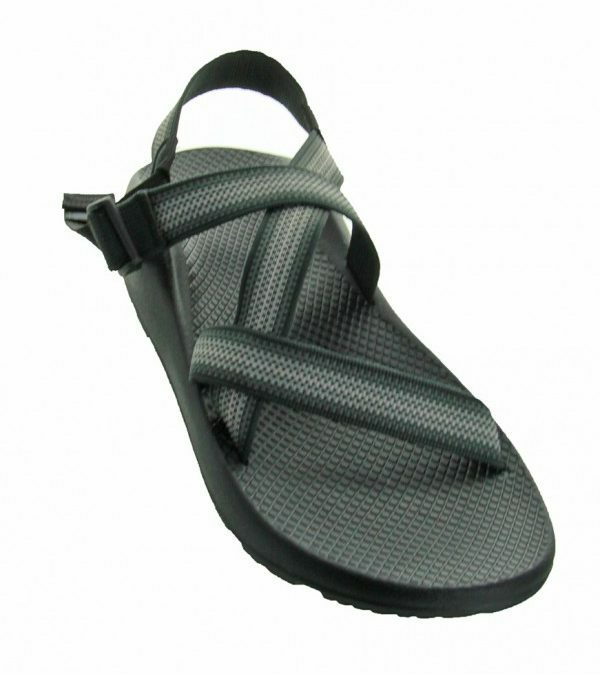 I think many of these people wanted a lighter sandal and Chaco gave them that at the cost of durability. If you are after a great tan line and strong arch support Chaco is the sandal for you. It is definitely an outdoor fashion statement. However, for regular use, there are better options available for a fraction of the price.